It seems that head basketball coach Jim Larrañaga and the University of Miami can take a breath of relief after news came out Feb. 13 that federal charges against former AAU program director Jonathan Augustine have been dropped. In September 2017, Augustine was reported to have been involved in the process of funneling money through Adidas to bribe specific high school basketball players to commit to Miami and Louisville – both of which are Adidas-sponsored schools. The FBI Investigation of the NCAA corruption scandal has been ongoing for more than two years. According to an ESPN Report, a spokesman for the U.S. District Court of Southern New York confirmed that the U.S. Attorney’s Office asked a federal judge to drop the charges last week, and the case was confirmed to be closed on Tuesday. It looks like, by association, Miami is clear in the investigation. Larrañaga repeatedly said from the start of the investigation that neither he nor his staff has any knowledge of any wrongdoing by their program. On Oct. 18, he received a grand jury subpoena for texts, emails and other records that have anything to do with the case. Larrañaga has been cooperative with federal authorities for weeks since the investigation started, handing over all records that could relate to the probe. He was also interviewed by the FBI at Miami international Airport when the probe started. 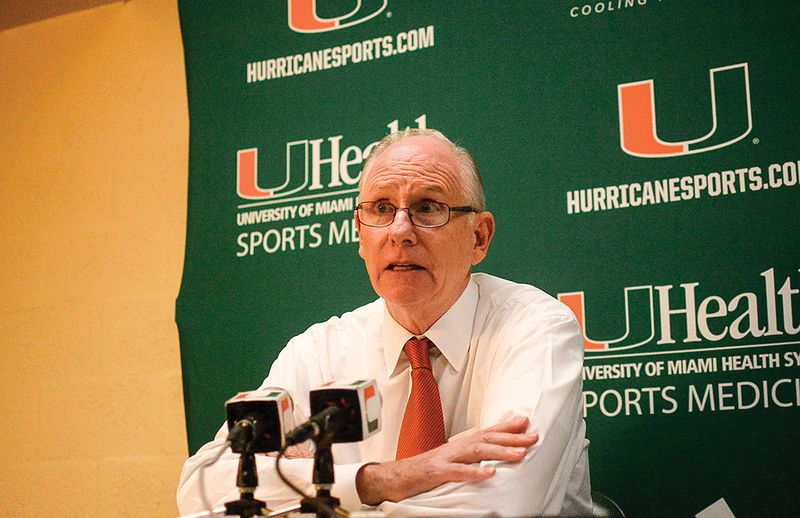 In a press conference Feb. 16, Larrañaga chose not to comment on the situation. “No comment, my attorneys handle all of that,” Larrañaga said. For background of the scandal, click here and here.